Just a couple of weeks ago, the Library of Congress announced the launch of three new apps for Web and mobile, developed by educational organizations that were supported by an LOC grant for app development. The new interactive applications focus on citizenship, civic engagement, and exploration with primary sources. We are delighted to see the creative ways in which these three interactives support students’ investigations of government, legislation and the role each of us can play in participating in our nation’s civic life. Primary sources are uniquely powerful teaching tools, and the Library’s education staff learned a great deal by watching the selected organizations use historical artifacts to illuminate key aspects of national institutions and citizen engagement. 1. Eagle Eye Citizen is all about taking a closer look. (Developed by the Roy Rosenzweig Center for History and New Media) engages middle and high school students in solving and creating interactive challenges on American history, civics, and government with Library of Congress primary sources in order to develop students’ civic understanding and historica l thinking skills. Time After Time challenges invite players to order a thematic group of primary sources chronologically to explore sequencing and change and/or continuity over time. Sort it Out challenges invite players to sort sources into categories to support contextual thought and reasoning. Big Picture challenges invite players to discover the meaning of a primary source by uncovering small tiles that comprise the larger image. The community is invited to create their own challenges using these three challenge strategies. I can absolutely see engaging middle and high school students in this type of creation and having them lead their classmates in discovery! This is a nice way to prep for National History Day and it may present a new way to DBQ for APUSH! A Teach Page offers videos, resources for lesson planning and assessment, differentiation, additional resources, in-a-pinch (for substitutes or surprise snow days) and achievements (badges, votes, and rankings) to promote engagement. 2. Engaging Congress Developed by the Indiana University Center on Representative Government, this game uses primary sources– documents, photographs, political cartoons, maps and other documents–to explore the challenges of sustaining our democracy. It is available for Android and iOS at the App Store. 3. KidCitizen: Developed by Muzzy Lane Software, KidCitizen engages K-5 students in exploring with primary sources and connecting them to their daily lives through a growing collection of interactive episodes using Library of Congress primary source photographs. Mentor character, Ella, leads children in a search for history clues to help solve historical mysteries. Students keep their collected clues in online journals. Each very hands-on episode trains young learners in careful observation and prepares them for detailed historical inquiry and visual literacy. Episodes contain standards-aligned Teacher Guides complete with essential questions, historical background, links to additional images from the Library of Congress collection, recommended instructional materials, and a wide array of other resources. These are useful well beyond the game! The platform also encourages educators to create and share their own episodes. What are Primary Sources? : In this brief introductory episode, we find out what a primary source is and explore a few examples. Community Helpers: Investigate who community helpers are, and how they have changed over time. Congress and Child Labor: Long ago Congress decided that it was important to pass labor laws to protect children. Why did they think that child labor was a problem? Welcome to Congress: Who represents us in Congress and where do they work? Capture the Flag: How is the American flag used as a symbol of our nation? Snap a Photo: Agent of Change: How did photographers help convince Congress to pass child labor laws? The three selected projects for 2017 were chosen from among 33 proposals. A second group of organizations will launch their projects in 2018. You’ll find many more effective strategies for teaching with primary sources on the Library of Congress Using Primary Sources page. Aesop’s Fables Interactive Book app, with pictures by Milo Winter, is available for iPhone or iPad or Android. Click on the illustrations for little surprises. This could be fun on your IWB, as well as for individual reading and discussion. 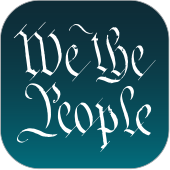 U.S. Constitution: Analysis and Interpretation (For iPhone or iPad) This mobile version of the Constitution of the United States of America: Analysis and Interpretation is a comprehensive analytical legal treatise prepared by attorneys of the Congressional Research Service at the direction of the United States Senate and presented using data provided by the GPO. 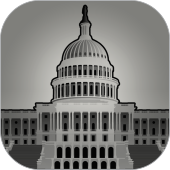 The Congressional Record (For iPhone or iPad) Includes the daily edition of the Congressional Record, Use with AP Gov and beyond. 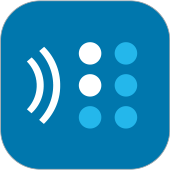 BARD Mobile (foriPhone or iPad or Android and may be downloaded from Amazon) This continually growing service of the National Library Service for the Blind and Physically Handicapped contains nearly 50,000 books, magazines, and music scores in audio and braille formats.